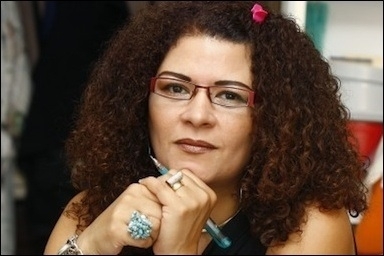 Egyptian poet Fatma Naoot was sentenced to three years in prison in January for criticizing the slaughter of animals during the Islamic festival of Eid al-Adha. Despite Egyptian President Abdel Fattah al-Sisi's many pluralistic words and gestures, which have won him much praise from the nation's Christians and moderates, he appeases the Islamist agenda in one very clear way: by allowing the controversial defamation of religions law, colloquially known as the "blasphemy law," to target Christians and moderates in ways arguably worse than under the Muslim Brotherhood and Morsi. In late February, three Christian teenagers were jailed for five years for breaking the defamation of religions law. A fourth defendant, 15, was handed a juvenile detention for an indefinite period. [i] Earlier they were detained for 45 days and subjected to "ill-treatment" said a human rights group. Their crime was to have made a 20-second video on a mobile phone mocking the Islamic State — an act interpreted as mocking Islam. In the video, the boys appear laughing and joking, as they pretend to be ISIS members praying and slitting throats. The Egyptian Commission for Rights and Freedoms, an independent rights group, confirmed that the four teenagers were performing scenes "imitating slaughter carried out by terrorist groups." Even so, according to their defense lawyer, Maher Naguib, the Christian youths "have been sentenced for contempt of Islam and inciting sectarian strife.... The judge didn't show any mercy. He handed down the maximum punishment." The number of prosecutions for insulting Islam and Muslims has risen during Sisi's tenure. Considering that even Egypt's Al Azhar — the Islamic world's most prestigious university —refuses to denounce the Islamic State as being un-Islamic, it is not surprising that mockery of ISIS is being conflated with mockery of Islam. The Christian youths made the brief video in January 2015, when three of them were aged 17 and one 15. It is believed that the court kept delaying their case until the three 17-year-olds turned 18, so they could receive the full penalty as adults. Their teacher, who also appeared in the video, had earlier been sentenced to three years in jail. Several other Christians have been prosecuted under Sisi's tenure for insulting Islam and Muslims. One young Christian man was sentenced to six years for "liking" an Arabic-language Facebook page administered by Muslim converts to Christianity. A female Christian teacher was imprisoned for six months after Muslim parents accused her of insulting Islam and evangelizing. Bishoy Armia Boulous, a Muslim convert to Christianity, remains behind bars on trumped up charges of blasphemy, according to his lawyer. 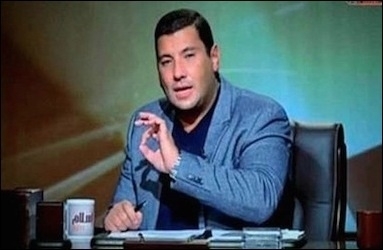 Television host Islam al-Behairy was sentenced to one year in prison for questioning the validity of some hadiths (sayings) attributed to the Muslim prophet Muhammad. While Christian minorities are the most prone to being targeted by the blasphemy law, secular Muslim thinkers and writers are also on the hit list. In January, Muslim writer Fatima Naoot was sentenced to three years in prison after she criticized the sadistic slaughter of animals that takes place during the Islamic festival, Eid al-Adha. The month before that, television host Islam al-Behairy was sentenced to one year in prison for questioning the validity of some of the sayings (hadiths) attributed to Muslim prophet Muhammad. Although Egypt's constitution outlaws the "defamation of religions," the plural indicates that, along with Islam, Judaism and Christianity are protected. In reality, however, the law is almost exclusively used to prosecute Christian minorities and secular Muslims. Despite the fact that there are many more Muslims than Christians in Egypt, rarely are Islamists arrested and prosecuted for defaming Christianity. In this, Egypt is becoming more like Pakistan. Although that nation also prohibits the defamation of religions — which technically includes Christianity — only Christians and moderate Muslims are targeted and imprisoned; some, such as Asia Bibi, a 50-year-old Christian woman and mother of five, are on death row. Conversely, Muslims who openly defame Christianity — and they are many — are regularly let off one way or the other. A few weeks ago, a Muslim broke into a church and proceeded to burn its Bibles. Although several Christians caught him and handed him over to police, the latter claimed he was mentally unstable and could not stand trial. In another case, a Muslim shopkeeper started selling shoes that depict the Christian cross on their soles. Christians demonstrated but police did nothing. There is no greater contradiction between what the state says and claims about itself and the reality on the ground... The Egyptian state is schizophrenic because it says what it does not do.... It's amazing and baffling to see a state who's president regularly preaches about the need for religious discourse and renewal — and yet, during Sisi's 18-19 month tenure, the nation has witnessed more reports, cases and convictions, and the imprisonment of writers, in the name of defamation of religions than during the one year tenure of the Muslim Brotherhood president.... The [Sisi] revolution dropped the Brotherhood but kept the ideology unchanged. Indeed, whatever Sisi's motivation—whether he's a covert Islamist, appeasing the Islamists, or not controlling all parts of his own government—this rise of blasphemy cases against Christians and moderate Muslims ultimately indicates that, Brotherhood or not, Islamism remains a domineering force in Egypt. Raymond Ibrahim is a Judith Friedman Rosen fellow at the Middle East Forum and a Shillman fellow at the David Horowitz Freedom Center. [i] Although only now making English language media, this story was translated here in April 2015, soon after riots and attacks on Christians broke out when Muslims learned of the video.